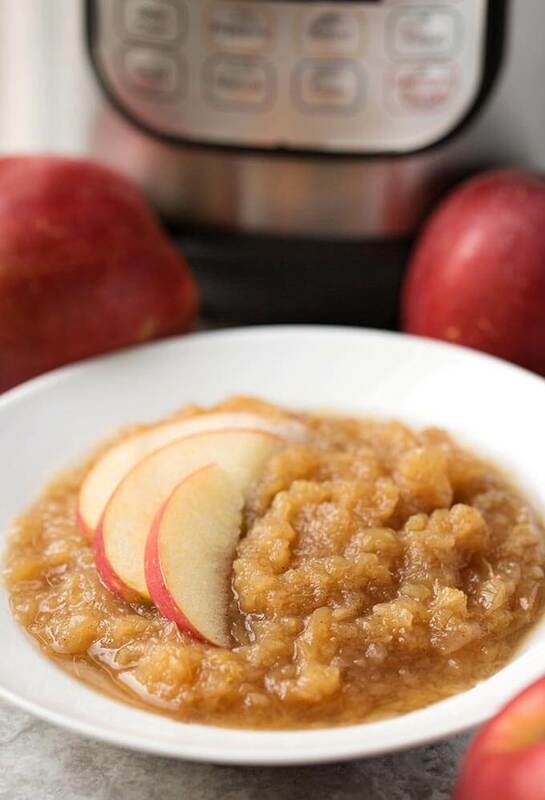 Instant Pot Applesauce is so much better than the store bought kind, in my opinion. 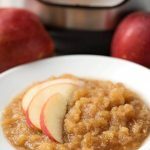 This homemade pressure cooker applesauce recipe is so easy and quick to make, and you control the ingredients. I live in Washington. We are the apple growing state. If Florida is known for oranges, and Georgia (and South Carolina) for peaches, then we are known for our apples. I can remember when the grocery store only carried a few varieties of apples: Red Delicious, Golden Delicious, Granny Smith, and Macintosh (a Canadian variety). These days when you go to the market, there are so many different varieties of apples, it’s amazing! It’s like flowers, so many kinds! Of course, now we get them imported from Japan, Chile, China, and who knows where else. But I’m a Washington girl, and we always have local apples available. The Washington Apple Commission has some great information about our apples. 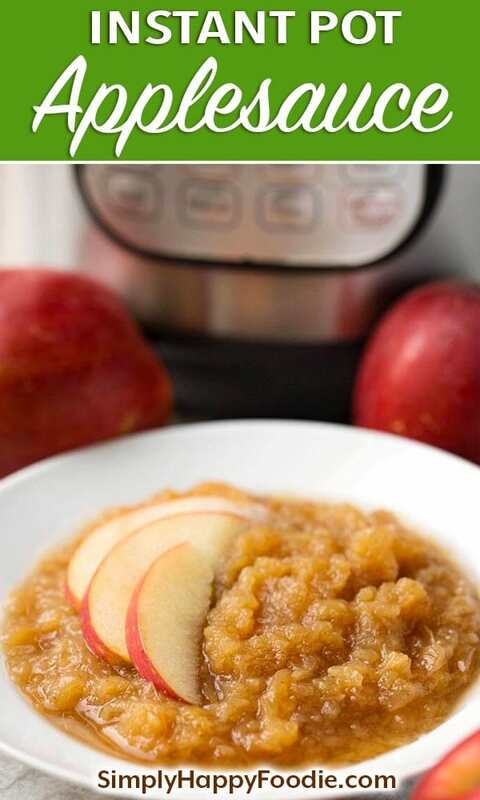 You can make your Instant Pot Applesauce from any kind of apple you want. I usually just get what’s on sale. It probably comes as no surprise that we made a lot of applesauce growing up. When my kids were young I made it for them, too (kids also means the neighbor kids as they liked to eat at our house! 😀 ). I’d cook up a big batch and that would be snacks and breakfast for a week! 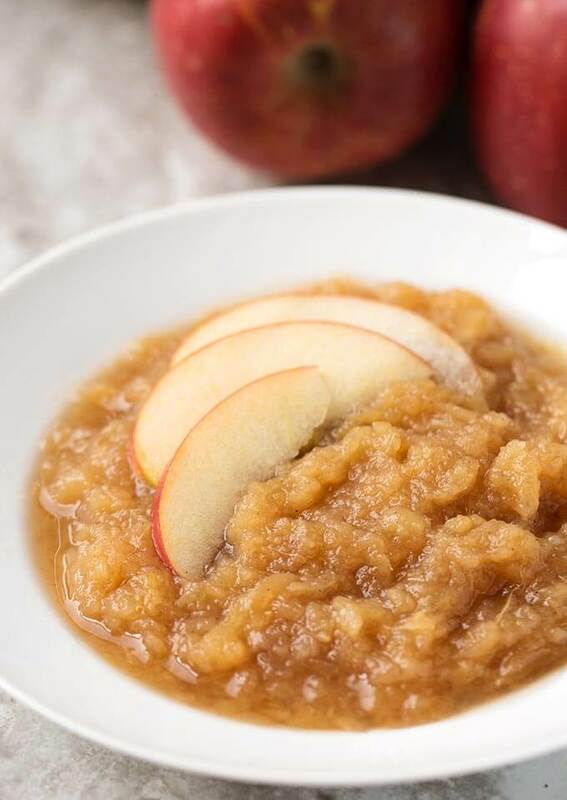 When you make applesauce in the Instant Pot, don’t add too much water! In fact, you only need a few Tablespoons. The apples release plenty of water as they cook, and it will come out perfect. You also don’t have to peel the apples if you don’t want to. I sometimes do, but not usually. The peels get soft enough for our liking. I like to cook with my Instant Pot, and it’s nice to be able to make a small amount of Instant Pot Applesauce, or a bigger batch if any of the kids will be around (Bryen just got a car, so you know I never see him!). Make a quick batch of Instant Pot Applesauce for a sweet and healthy snack! It cooks in minutes and you control the ingredients! Put the prepared apples in the pot with the other ingredients. Close the lid and set he steam release knob to Sealing. Press the Manual (or Pressure Cook) button and then the + /- button to choose 4 minutes. When cooking cycle ends, let the pressure cooker naturally release the pressure. **If you are using butter, you can do a Quick Release, but do so gradually, to be safe. Use a potato masher to mash the apples to the texture that you like. If the applesauce is too watery for you, press the Sauté button and cook it down as much as you like, stirring constantly. **Butter is optional, but it does help reduce the foaming of the apples. If you choose not to use the butter, let the Instant Pot naturally release the pressure when it's done cooking. That will help ensure you don't get applesauce spewing from the steam release valve. Can you double this recipe? If so, do I use 1/2C water? Yes you can, just let it naturally release longer as apples foam.